You should have been there to hear what a client told me the other day. This is a huge compliment. And if I told you who said it, you’d be even more impressed. But it got me thinking. Making growing membership businesses is really hard. A lot of important pieces have to come together to make it work. And any one of those pieces can lead to slower growth, higher churn, or stall outs where membership reaches a certain plateau that you can’t grow beyond. There so many people proclaiming that you should be in the subscription business. They say subscription is the business model of the future. You’d think it would be easy. It’s not easy; but it is powerful when done correctly. Thriving subscription programs are more valuable than many larger businesses that don’t have recurring revenue. Subscription businesses often get a much higher sales multiple than businesses without recurring revenue. However, growing your membership is far from easy. If you’ve ever been frustrated that you can’t attract new members, your members quit too quickly, or you’ve reached a plateau in your growth that you can’t seem to break through, you are likely missing one of these three key elements to grow your membership. Your potential members don’t care about you and what you deliver. And, even your members start deleting your emails when you talk about all the stuff you do for them. Quit talking about yourself. You don’t want your member experience to be like a bad date with someone who can’t stop talking about all wonderful things they’ve done with their life. There’s a better way. Never talk about yourself. What? I see the confused look with my clients all the time when they ask me, “But how can we possibly explain what members get with their memberships if we aren’t allowed to talk about it?” Your members don’t care about you as much as they care about themselves. To attract and retain your members, you must always write about problems your members face in their lives and present tools and strategies they can use to solve those problems. Here’s the first key of membership copy: Sales copy must be about solving your members’ problems. What are the biggest challenges your members face? How does what you deliver help your members solve those challenges? Your copy should focus on how much those problems cost your members and how great they will feel when their problems are solved. The second key of membership copy is that everything your member sees is sales copy. This includes every word on your website, every word in your fulfillment, every email promoting a monthly product, every administrative email (even when it’s as mundane as helping your member recover a password), and every word said to your members when they call on the phone. Everything is sales copy. It all must be focused on your member, helping them solve problems in their life. I’ve seen it more than a hundred times now. This is the single fastest change I make to transform struggling memberships into a growth model that attracts and retains members. Write down every communication about solving your members’ problems. You’ll see an instant improvement in member engagement, retention, and growth. Getting the attention of your prospective members is too hard to leave to chance. Your marketing has to be like a spiderweb. You weave your web in places where prospective members congregate. As members move through, they get caught in your web. Your web is designed so that the more your prospect does, the more entangled they become. When a member visits one of your webpages, they are prompted to further the relationship by opting in with their email address. If they choose not to opt in, you use retargeting ads to draw them back in. Prospective members who opt in are immediately offered an opportunity to solve pressing problems in their lives by joining your membership subscription program. If they choose not to join immediately, your follow-up sequence continues your sales process by talking about their problems, the implications of allowing those problems to fester, and how great the solution will be after your member has your subscription. Most marketers see their marketing like a funnel, with every member prospect moving from one step to another with the goal of getting a small fraction of the traffic to convert. For two decades, I’ve sold into markets where the goal is to get every prospect to convert. And the crazy thing is, I’ve done it — twice! Yes, that’s right; in two different industries, I converted all but one prospective member into paid memberships. That’s more than 99 percent market share. This is what’s possible when you think of your marketing as a net that snares your prospective members rather than moving on to the next prospect as soon as one tells you no. One of the key questions I often hear is, “What do we write for our prospects that’s different from the content we deliver to members?” This question comes from confusion about the distinction between content and your sales message. When you recognize that all content is a sales message, this challenge disappears completely. All content, whether for your prospects or members, is a sales message. When you are selling memberships, every content item you produce is a sales presentation for next month’s content. It better make the sale, or you’ll have a canceled member and a lost opportunity to deliver for next month. Write your content like it is a sales letter. What’s the most common sales letter format? Problem, agitate, and then solution. The confusion between sales and content leads too many to deliver content that focuses only on presenting solution, solution, solution. This makes your writing all about you. Your readers need to understand the problems that your solution is intended to solve. Only after they recognize the problems they face and the implications of those problems will they appreciate your solutions. The difference between the content you deliver your prospects versus the content you deliver to your members is that members receive the details of how to implement their transformation. Your paid content has to deliver the solution to fulfill the promises you made to solve your members’ problems. Meanwhile, content for prospects is focused on helping your member make a step toward joining your membership to solve their problem. Every communication is a sales communication, and you may as well format it to do its job. This problem isn’t limited to subscription boxes — they’re just the primary sufferers of a poor business model for maximum subscription growth. Although your average subscriber value may be $200.00. At $25.00 per month, it’ll take you eight months to earn that with a 100 percent profit margin. In reality, your profit margin is likely lower than your sales prices, and if you have a high churn rate in the first few months of membership, it may take twice that many months to generate the ultimate member value. This means that if it costs you $100.00 to generate a new member, it could take months to recover that investment so you can use that money to generate more new members. This is the key place where subscription businesses stall. Too many subscription businesses have customer values that don’t allow them to invest in marketing to scale their growth. The membership business model inhibits their ability to grow because customer value through subscriptions takes many months to receive. This is why you must implement systems to maximize the value of each new member beyond the monthly subscription. This is where subscription boxes go wrong. Because a few big subscription boxes scaled their businesses based on the “one payment per subscriber per month” model, every subscription box owner falls into that trap. However, those companies often used tens of millions of dollars of outside money to scale their businesses rather than using internal cash flow. If you are funding your growth out of cash flow, relying only on subscription revenue will choke your growth in the same way a kink in a hose will stop the flow of water. One moment water is flowing; the next moment you step forward to water the next plant and the flow slows to a trickle. The water should be flowing, but nothing comes out until you go find the kink to straighten it out. In membership programs, straightening that kink is done by offering upsells to your new members. Upsells serve your needs, but they must also serve your members. And, when done properly, upsells not only increase your customer value, they also improve retention for your core subscription offering as well. Your member joined to solve a problem. Your upsell should be positioned as an accelerated way to implement your solution. Now the upsell is compatible with your offering. In the subscription box example, a fashion subscription box could offer high margin fashion training or personalized fashion consulting that would generate fast cash and help subscribers get more value out of the subscription they purchased. What’s Slowing Your Subscription Growth? One of the huge benefits subscription companies receive when they ask me to conduct a 47-point review of their subscription business growth is a clear understanding of where their fastest member growth opportunities are. These opportunities are either within their marketing and member copy, marketing systems, or business model. Then, whether they choose to have me help them implement my suggestions or they do it themselves, at least they have complete clarity over exactly what to do to finally attract new members, keep them longer, and grow recurring revenue. Which one of these three elements of a successful membership subscription business are you missing? Reach out to me at Robert@RobertSkrob.com for my assessment on your fastest member growth opportunities. 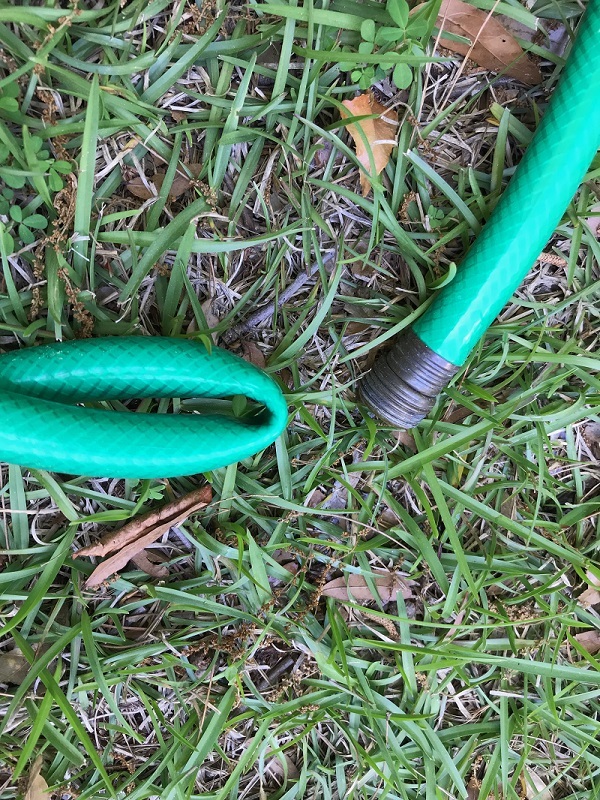 I can help you find the “kink in the hose” that has slowed down your membership growth. Thank you. If you like this, you would also like my new book, Retention Point. Get more information about that book at http://www.RetentionPointBook.com. Best wishes.